Atletico Madrid striker Diego Costa is to undergo foot surgery, the LaLiga club have announced. Atletico gave no timescale for the 30-year-old Spain international’s expected absence in a statement released on Monday but could be out until February. 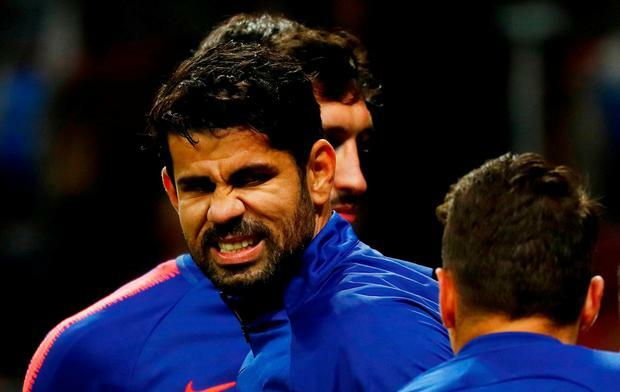 The club said on their official website: “Diego Costa is to be operated on in Brazil this week due to ongoing pain in his left foot. “After considering all the possible options, the decision has been made to undertake the operation in Brazil, supervised by Atletico Madrid’s medical services. Costa, who rejoined Atletico from Chelsea last season, played the full duration of Sunday’s 1-1 LaLiga draw at Girona. Atletico believe the issue with Costa’s foot directly led to his ankle injury by prompting him to put additional pressure on other parts of his body. Delaying the surgery into the New Year would have jeopardised Costa’s chances of being fit for the final stages of the Champions League – with Atletico’s Wanda Metropolitano Stadium confirmed as the venue for the 2019 final – as well as the business end of his club’s La Liga campaign. Costa re-joined Atletico from Chelsea for a fee rising to £57 million in 2017, and has scored 11 goals in 38 appearances across all competitions for the Spanish club.